New Wahoo Snap wheel-on trainer extends Wahoo technology to a lower price point. 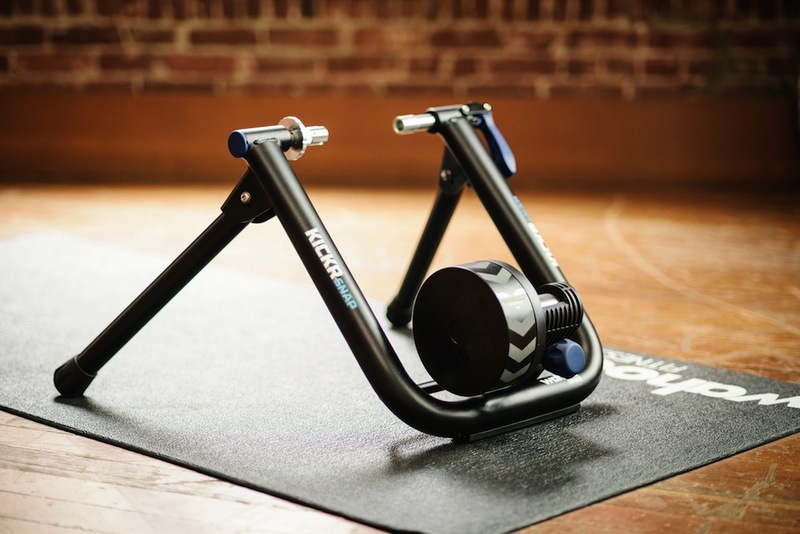 Wahoo’s Kickr is a direct drive trainer which is used by Team Sky for their turbo sessions. Now Wahoo has launched a new wheel-on design called the Snap in which the wheel remains on the bike and the tyre turns a roller on the trainer. Whereas the original Kickr had a 5.7kg (12.5lb) flywheel the Snap’s weighs 4.8kg (10.5lb), reducing the overall weight of the trainer from 21kg (47lb) to 17kg (38lb). The Snap’s flywheel is still significantly heavier than some competitors’ and on a short test session we found that the weight reduction relative to the Kickr made a negligible difference to the ride feel of the trainer. The Snap’s power measurement also changes with an algorithm-based system in place of the Kickr’s in-built power meter. Wahoo claims that the accuracy of this method is around 5% as against 3% for the Kickr. One of the key attractions of both Wahoo’s trainers is their integration with third party software such as Zwift as well as via Bluetooth to Wahoo’s own smartphone app. Resistance can also be controlled by third party bike-mounted power meters such as Stages and they have ANT+ compatibility. 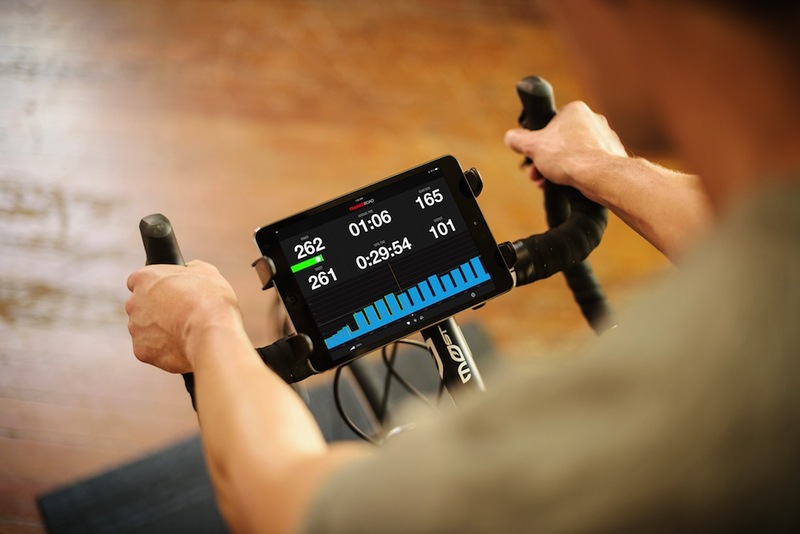 This software integration allows users to enjoy the same virtual competitions and programmed workouts on the Snap as are available on the Kickr. Wahoo also cites its trainers’ quick response to changes in programmed intensity, leading to a more realistic ride feel. Whereas the original Kickr was priced at £950, the Snap comes in at £649 – still expensive but a lot more affordable. Wahoo trainers are available via a limited number of outlets in the UK, but these include the Apple Store and Wiggle as well as Wahoo’s own website.